Objects can be very evocative, bringing back memories of things that may have been long forgotten, which we can then recall in immense detail. 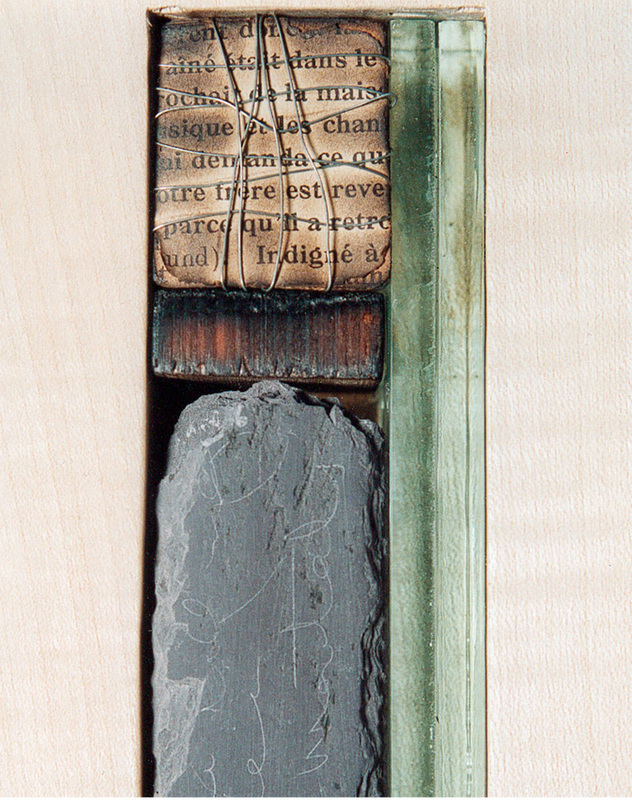 This work incorporates small pieces of various materials that have been collected over time. Each represents a fragment of time and a different memory. 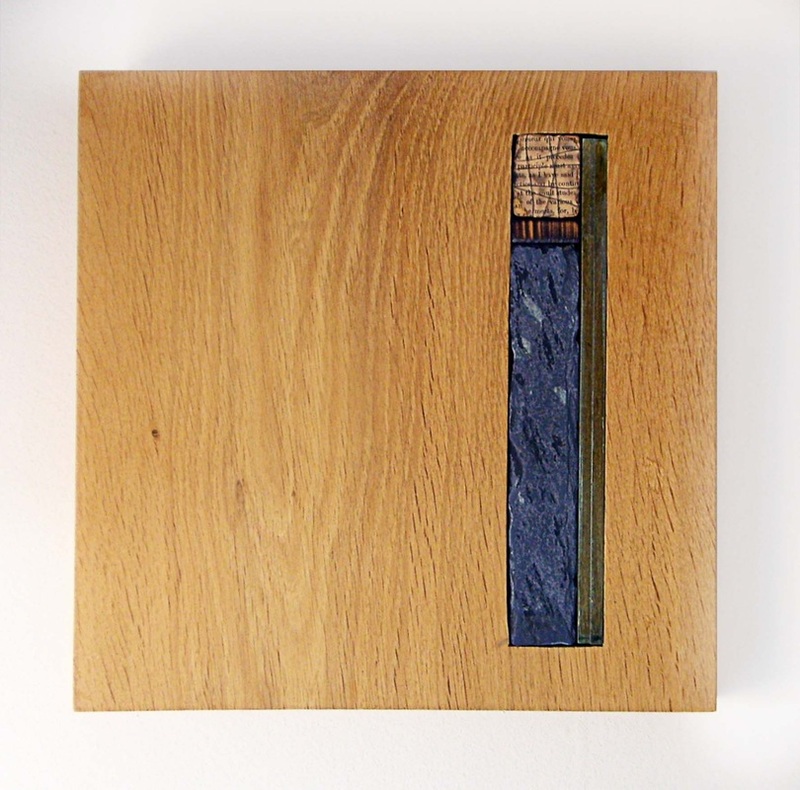 Sycamore, slate, paper, wire & glass.